If you’re with a major media outlet, please complete the form at the bottom of this page and a representative will get back to you within one to two business days. Due to numerous requests for interviews, we are unable to honor each request. Currently, we are doing interview and speaking requests in exchange for pre-orders of Transformation 28. Please contact us if you’re interested. If you are a follower of Dr. Thompson's work, an email subscriber, or customer, we'd love for you to share your feedback regarding Transformation 28 at this link. Sharing your inspiring story or experience helps us help more people take control of their health and their future once and for all. What is revealed in the book has changed thousands of Transformation 28 readers and T28 Challenge participants. 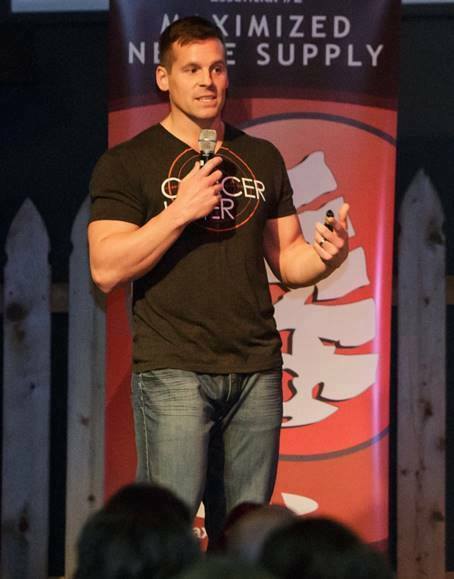 In addition to speaking about nutrition, weight loss, and fitness, Dr. Thompson is a sought-after speaker on topics relating to type 2 diabetes, mobility, toxicity, gut health, stress, improving sleep and mood, and brain health. You can find past talks at this link. Dr. Thompson regularly does paid speaking engagements. Honorarium fees range from $1,000 to $10,000 depending on duration, complexity, attendee count, and travel. Please complete the form below for your request. If you are an owner of a CrossFit gym or natural health clinic, Dr. Thompson offers consulting on how to run a successful T28 Challenge for your patients and clients. You can request more information by completing the form below.